The Board of Veterans' Appeals (Board) is a part of the Department of Veterans Affairs (VA), located in Washington, D.C. The Board’s mission is to conduct hearings and decide appeals properly before the Board in a timely manner. A New Board Appeals Metrics page is now available with additional details. The link is also available in the Resources links to the right. Who is my Hearing Coordinator? Here is a list of Hearing Team coordinator points of contact by region. If Veterans, Veteran Service Organizations or Regional Offices have questions about their hearings these are the appropriate people to contact. For general inquiries, please access Appeals Status on VA.gov (information below) or phone 1-800-827-1000. How do I Access the Status of My Appeal? 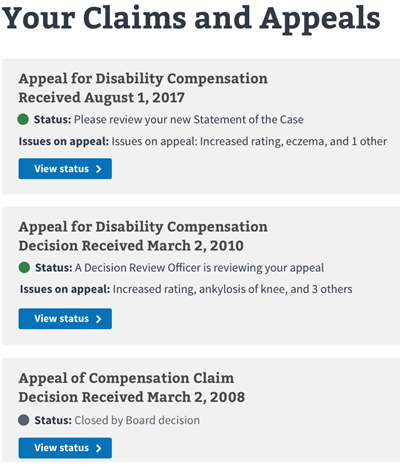 The VA Launched the appeals status tracker and now Veterans with a compensation appeal can view their past and current appeals issues, receive alerts for deadlines when action is required, preview the next events in their timeline, and see estimates of how long it will take to reach those events. 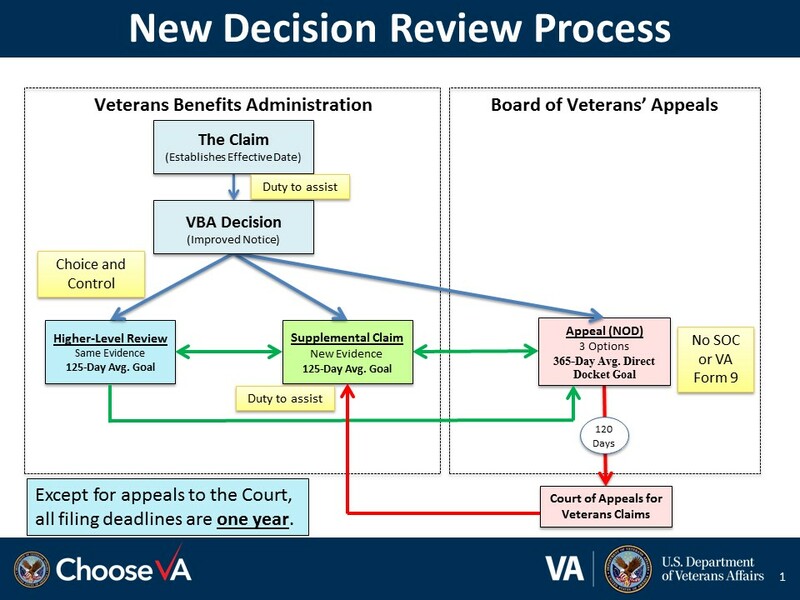 This is the fastest method for obtaining appeals status for Veterans. Additional information is in the links at the bottom of the page. 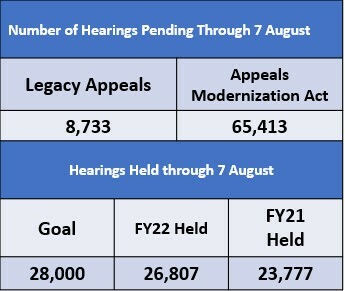 On August 23, 2017, the Veterans Appeals Improvement and Modernization Act of 2017 was signed into law. The new law takes effect in February 2019. Appeal – Review by the Board of Veterans’ Appeals . Anyone who is not satisfied with the results of a claim for Veterans benefits (determined by a VA RO, VHA medical center, or other local VA office) should read the pamphlet above. It is intended to explain the current steps involved in filing an appeal and to serve as a reference for the terms and abbreviations used in the appeal process. 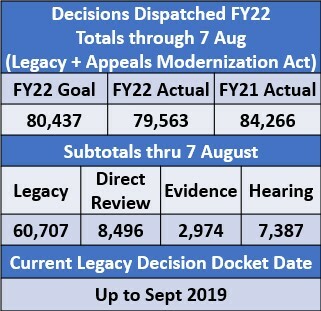 Updates to this process as a result of the Veterans Appeals Improvement and Modernization Act of 2017 are forthcoming.